civil war | Out of the Box! 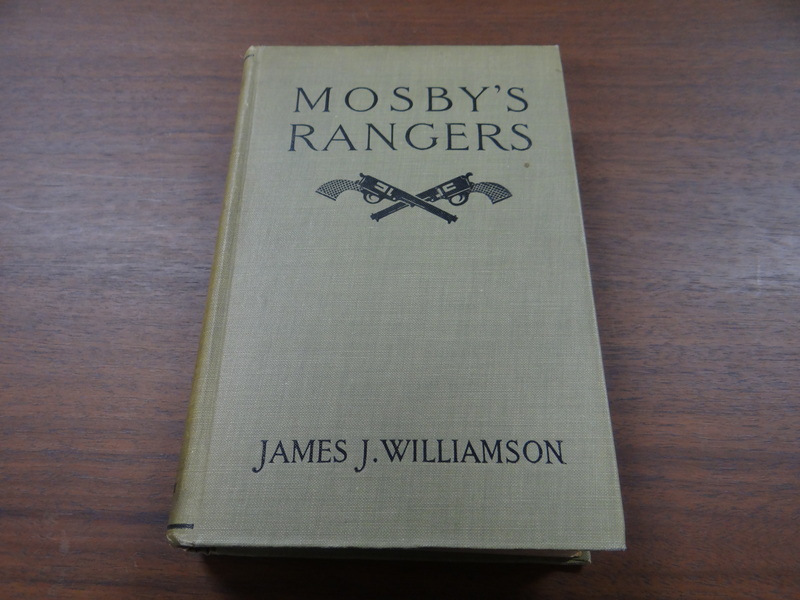 This book, “Mosby’s Rangers” is a compilation of information from James J. Williamson about the exploits and methods of John Singleton Mosby. This book has information as well about the men he was commanding. John Singleton Mosby, a Confederate States of America Army Calvary Battalion commander, was the Ranger who “made the first circuit around the Federal army while in front of Richmond, thereby enabling General (J.E.B) Stuart to make his celebrated raid around the entire army of General McClellan.” (Page 15) This book gives detailed information on both Mosby and his Rangers’ deeds and hardships. There is an entry that shows Confederate States of America President Jefferson Davis and Robert E. Lee giving Special Order No. 82 to Mosby. These orders gave Mosby the rank of Captain in light of his exploits and deeds. With this, they mention at the very start men that had joined Mosby after their exchange as prisoners. These men were volunteers and started the term “Mosby’s Men”. The men he had been given by upper command were sent back after he gained enough volunteers. His first detail of men had been 15, names of which are given on page 18. You can find this book (E581.643d.W5) and others, “Mosby’s War Reminiscences and Stuart’s Calvary Campaigns” by John S. Mosby (E581.643d.M51887a), (E581.643d.M5) (two versions), and “Partisan Life with Mosby” by John Scott (E581.643d.s41867a), at the Special Collections Thomason Room on the 4th floor of the Newton Gresham Library. To view more Civil War materials come visit the Newton Gresham Library Special Collection in the Thomason Room. The Thomason Room is opened M-F, 8-5. The Mae Wynne McFarland Research Collection is composed of five series: Personal Materials, Walker County/Huntsville, Texas History, War of 1812, and Women and Charitable Organizations. Although each series has interesting points, the most interesting, in my opinion, can be found within the Texas History series. The Texas History series holds ten boxes of information on subjects such as the Texas prison system, early Texans, and several Texas counties. Amongst this variety of topics, are copies of letters from people who lived and fought during the Civil War. Most of the letters concerning soldiers are accompanied with biographical information. 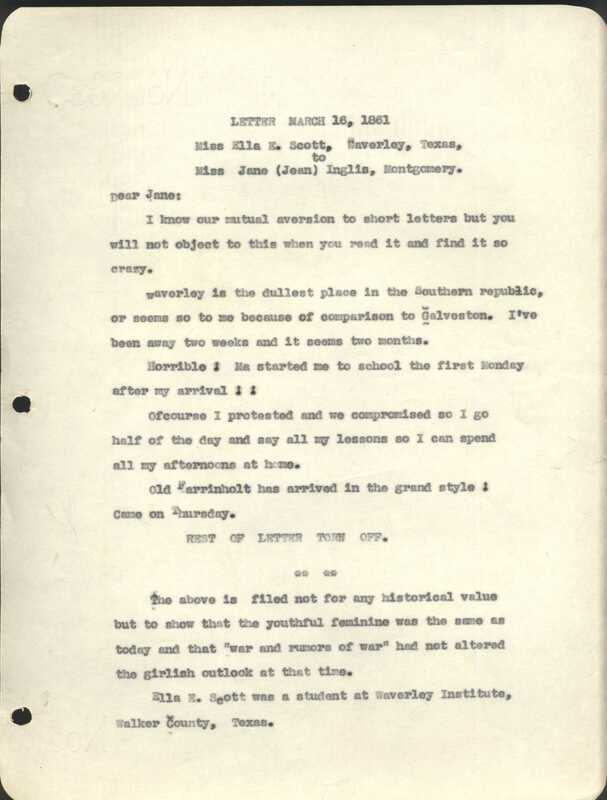 One interesting set of letters is from Ella Scott of Waverly, Texas to Jeanie English of Montgomery, Texas. While only Ella’s side of the conversation is available, much can still be learned about the mindset of youth during this time. For one letter in particular, Mae Wynne McFarland notes that she didn’t copy it for historical value, but rather “to show that the youthful feminine was the same as today and that ‘war and rumors of war’ had not altered the girlish outlook at that time.” This idea is portrayed throughout the letters, as most are filled with gossip of marriage and engagements of mutual friends of Ella and Jeanie. Ella confesses that she would have to wait until after the war to wed because she wanted a war hero for a husband. Another letter is just an example of similar stories men dictated on paper to loved ones back home. It is a letter from Charley Waters to his father, Mr. P. B. Waters. Charley describes several points of fighting and rest, mentioning that he was even able to aid three wounded comrades. Exhaustion and uncertainty consumed the men, regardless of rank. 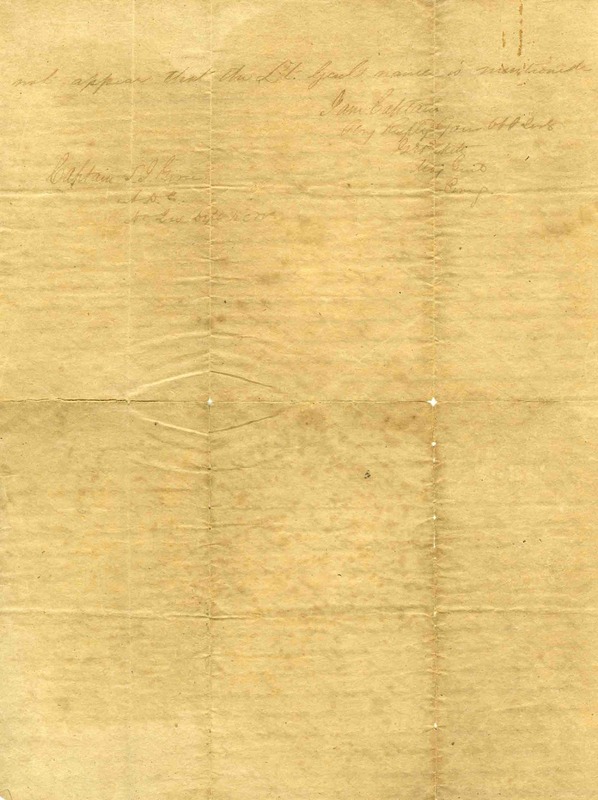 Mae Wynne McFarland was able to obtain a copy of this particular letter from Mrs. E. W. Bragg, the sister of Charley Waters, and her granddaughter Mrs. Philippa Kynette. 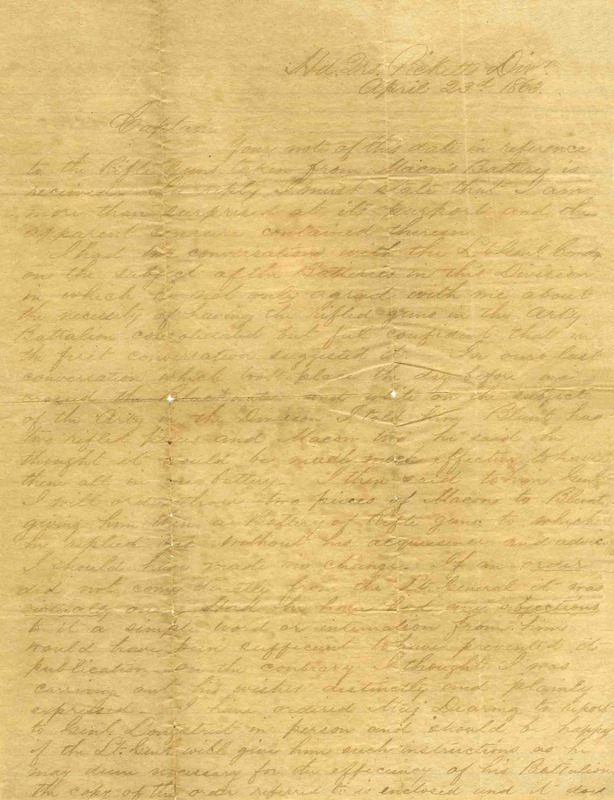 This is a letter from George Pickett to Thomas J. Goree of Huntsville, TX. George Pickett, famous for leading Pickett’s Charge at Gettysburg, wrote to Goree, discussing a disagreement the two had concerning the assignment of rifles to a certain battery. I had two conversations with the Lt Genl Comdg. may deem necessary for the efficiency of his Battalion. not appear that the Lt. Genls name is mentioned. Hd Qrs Dept N.C. & Va.
Thomas Jewett Goree was born in Alabama on November 14, 1835. The Goree family moved to Huntsville, Texas and lived on a plantation near the Trinity River. Goree went to war in 1861 and served under General James Longstreet. 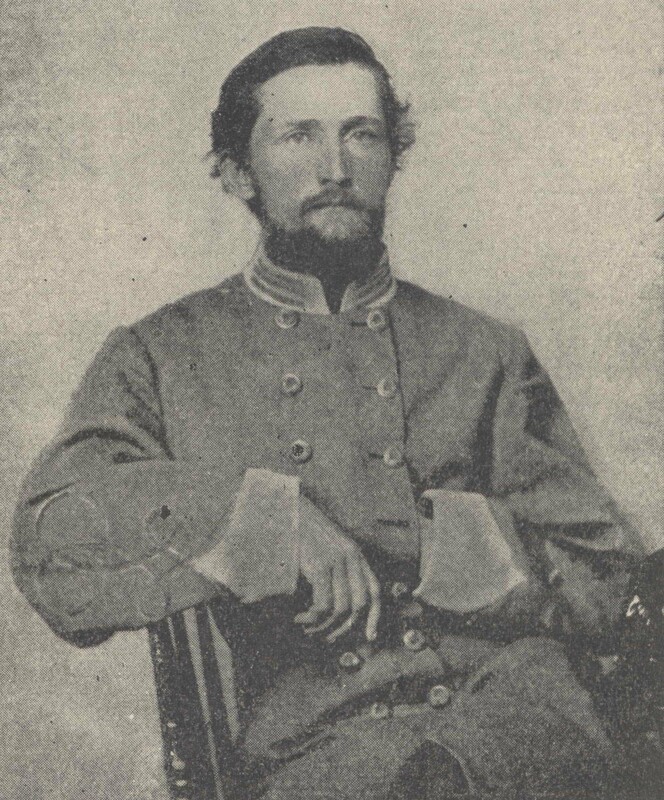 Thomas J. Goree promoted to Captain and served as aide to Longstreet throughout the war. He and Longstreet became good friends and remained in contact with each other after the Civil War ended. In 1868, Thomas J. Goree married Eliza Thomas Nolley and moved to Midway, Texas to run a mercantile business. Thomas and Eliza returned to Huntsville in 1873 where Thomas J. Goree practiced law in Huntsville until 1877 at which time when he accepted the position of Superintendent of the Texas Prison at Huntsville. Later, Thomas Jewett Goree became Superintendent of Penitentiaries. Thomas Jewett Goree died in 1905. The Goree Family Papers consists of documents, correspondence, articles, and photographs concerning the Goree family of Walker County, Texas. The majority of the collection is the original correspondence of Thomas Jewett Goree who served as aide to General James Longstreet during the Civil War. The collection also includes the correspondence of Eliza T. Nolley and E.K. Goree. Eliza Thomas Nolley was an early settler of Walker County and was one of the first teachers at Andrews Female College. The Goree Papers contain transcribed correspondence of Thomas J. Goree, Eliza T. Nolley, and various other members of the Goree family including a transcription of Thomas J. Goree’s brother-in-law Dr. Pleasant Williams Kittrell’s private journal. The Goree Papers hold numerous photographs and negative images of members of the Goree family. View a detailed finding aid of this collection at Sam Houston State University’s Archon page and see just what materials are in the collection.